Diego Acosta Arcarazo is a Reader in European and Migration Law at the University of Bristol. He was previously Lecturer in Law at the University of Sheffield and holds a PhD in European Law from Kings College London. His area of expertise is EU Migration Law and he is currently interested in migration law and policies in South America and in the process of construction of a South American citizenship. He is regularly invited to present his work at international conferences and has provided consultancy on the subject for International Organizations, Governments, Political Parties and NGOS in Europe, South America and Africa, including the European Union, the International Centre on Migration Policy Development (ICMPD) or Brazil’s Ministry of Labour among others. He has published widely in the area of European Migration Law, including his book: The Long-Term Residence Status as a Subsidiary Form of EU Citizenship. An Analysis of Directive 2003/109 (Martinus Nijhoff, 2011). He has also co-edited three other books: Global Migration. Old Assumptions, New Dynamics (Praeger, 2015, with Anja Wiesbrock); EU Justice and Security Law: After Lisbon and Stockholm (Hart, 2014, with Cian Murphy); and EU Immigration and Asylum Text and Commentary (Martinus Nijhoff, 2012, with Peers, Guild, Groenendijk and Moreno-Lax). 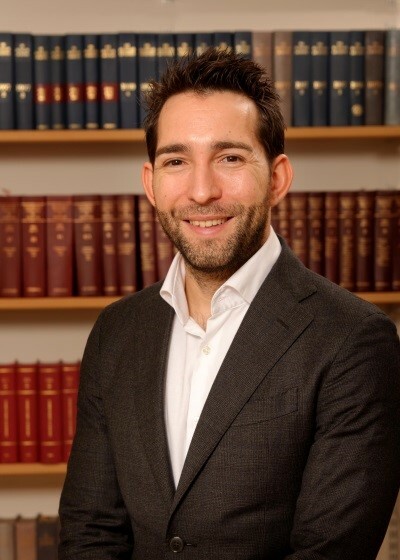 His work has appeared in the most important journals in the area including the International Migration Review, European Law Review, European Law Journal, Journal of Common Market Studies or European Journal of Migration and Law. He also currently serves as Co-Convenor of the British Society of Legal Scholars (SLS) Migration Law Subject Section. He is also Bristol University´s Ambassador for Colombia.